Sophie is a practicing property lawyer with experience supporting clients across various property transactions. 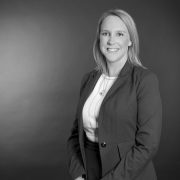 Sophie Chessells brings experience in Owners Corporation Law to her general property portfolio allowing her to actively and effectively support her client’s needs. Sophie confidently advises clients on a wide range of property developments, subdivisions, off the plan purchases and residential and commercial property sales and acquisitions. Sophie is client-focused lawyer, possessing the ability to foster and maintain long-term relationships, which allow her to understand and action their requirements and manage risks with minimal disruption. Outside of the office Sophie enjoys supporting the (mighty!) Melbourne Demons and spending time on the family farm near Tatura.